It was a month ago that Apple released the new iOS 5.1 firmware version for its iOS devices including the iOS 5.0 for the Apple TV users with entire Web 2.0 like interface with shinny buttons. 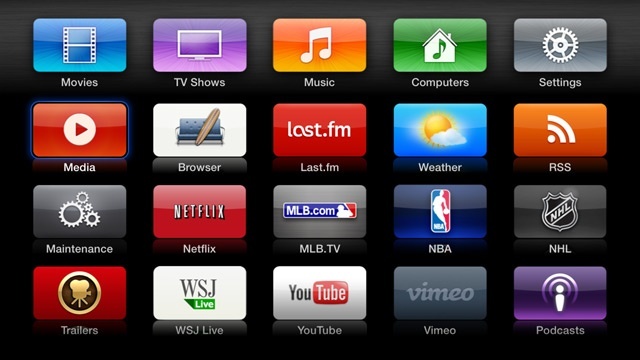 The new iOS 5.0 for Apple TV secures the console on many aspects and allows users to access latest services on their television. Apple has also released the Apple TV 3.0 with the same firmware version and new user interface to bring more colors to the users interface. However, the iOS 5.0 for Apple TV appears to be the most secure iOS firmware version for the devices, as after a month hackers could be able to jailbreak it on their labs. The team over FireCore has just announced the new jailbreak tool for the iOS 5.0 Apple TV jailbreak, means now you can jailbreak your second generation Apple TV on iOS 5.1 using the latest version of the Seas0nPass tool. The new Seas0nPass is a tool developed by FireCore to bring jailbreak on Apple TV, and at the moment it is working only as tethered jailbreak, as the developers have yet to discover any untethered jailbreak on iOS 5.1 for the devices. For those who are not aware of Seas0nPass, and Apple TV Jailbreak, the seas0npass tool is similar to the Redsn0w jailbreak tool, which allows users to jailbreak iPhone, iPad and iPod touch on different firmware versions. So Seas0nPass is another jailbreak tool, but only covers the Apple TV jailbreak support. We have already reviewed the new Apple TV firmware, and if you have upgraded your device to the latest iOS firmware version then you can simply jailbreak it to add some more functions on it using the new Seas0nPass tool. It is worth noting here that some plugins have not yet updated to support the iOS 5.1 firmware with the tethered jailbreak, so it is advised to have a look at the below list before hitting any plugin on your device. Once again, there is still no jailbreak for the latest Apple TV, and according to the reports, we might never get jailbreak for it. To jailbreak, your Apple TV on iOS 5.0, you actually need Seas0nPass tool with Mac, and aTV Flash (black) to install further plugins on to your Apple TV devices.